Multi-core, flat-twin 2.5mm2 cable consisting of 2 cores of tinned, thin wall cable with a PVC sheath. The tin coating on the copper conductors makes them resistant to corrosion so this is particularly suited for low voltage applications in marine and other harsh environments. Arrived on time, was well packaged and in good order. Thank you. The right product for the job. Marine. If you work on industrial marine applications the spacifications tell you to use tinned copper strand wire. In the marine leisure industry this doesn't necessarily apply. But a leisure boat will experience exactly the same environmental conditions, so why not use the same specifications? 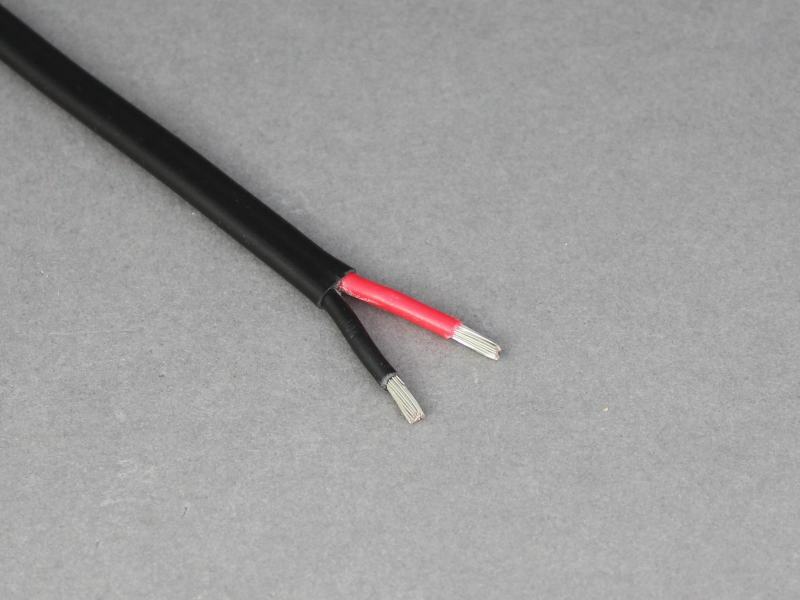 This tinned copper strand flexible cable is a top quality product at a good price. Highly recommended for the marine measure industry. I used a whole 30m reel to wire up the bigger devices (satnav, autohelm, USB sockets, 12V socket, solar panel &c) on my boat. Worth a few more pennies for the thicker cable to give a substantial and safe result. Quality products at good prices, fast delivery, useful website. Using it on my solar setup to carry power to garden lighting. Great quality product. Excellent quality product, and a good price. Delivered very quickly. Purchased this for an upgrade to my boat electric panel. Arrived on time.